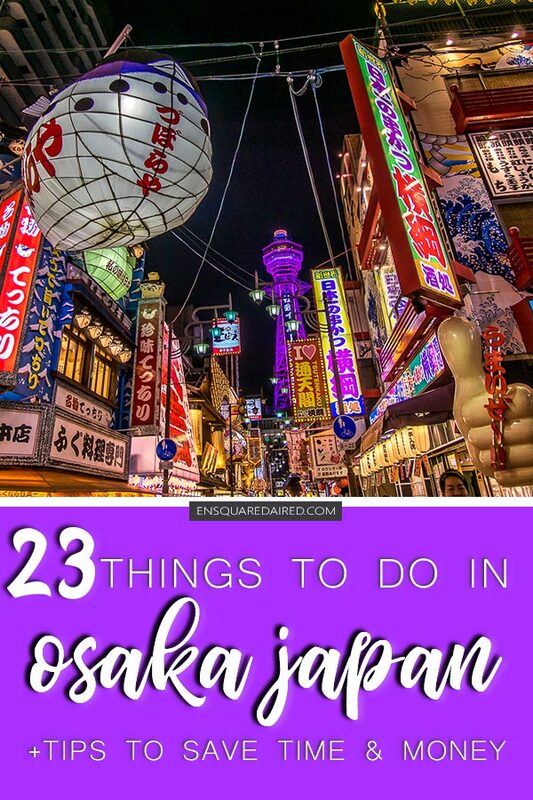 There are so many great top things to do in Osaka Japan! Despite being Japan’s second largest city, Osaka is often overlooked over Tokyo and Kyoto. That’s a shame because Osaka is definitely worth visiting during your trip to Japan. Not only is it a great place to start or end your Japan trip but I found it to be a lot less crowded than Kyoto and Tokyo! 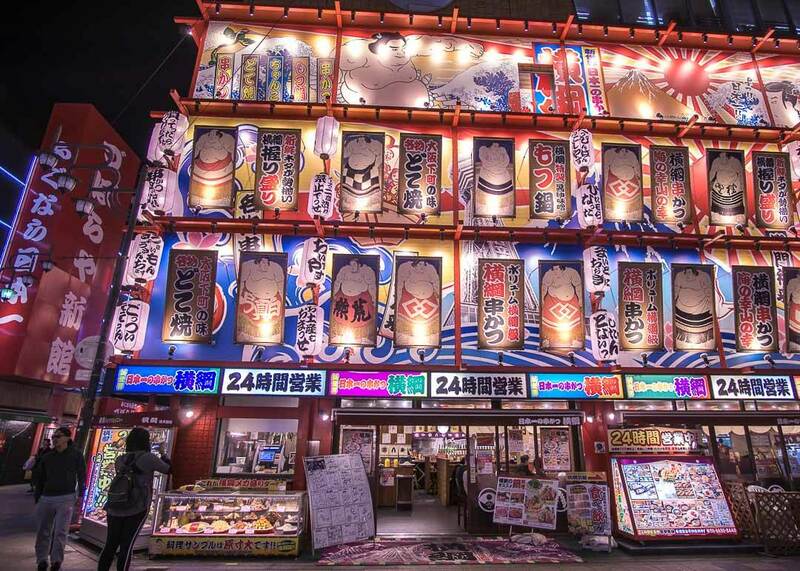 As well, Osaka is the culinary center of Japan, meaning that there is so much to eat and try in Osaka! 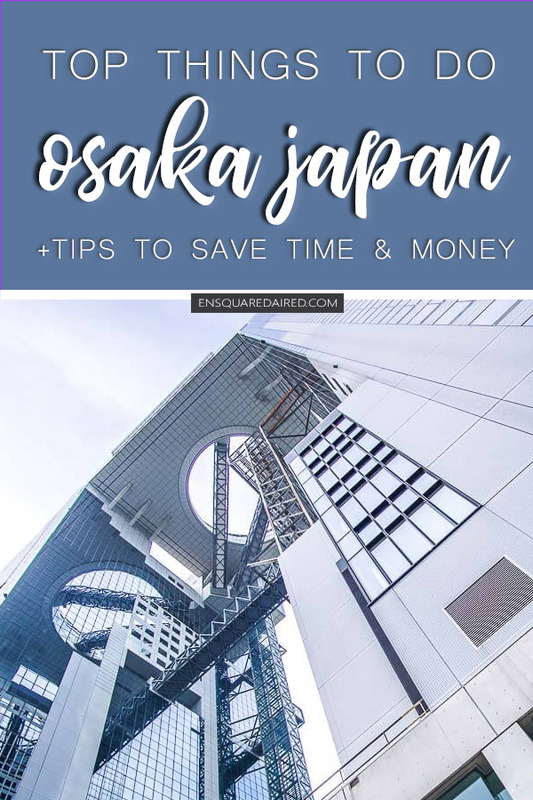 If you’re planning to visit Osaka and you’re looking for things to do, then keep reading this guide for details. I’ve also included a handy Google Map that you can save on your own Google account so that you can access them while on the go. Save time and money on your train tickets and attractions! One thing I wish I had known about before my trip to Osaka is the discount passes available for tourists. These passes range between one-to-two days and offer free/discounted admissions to different attractions. If you plan your activities well, you can visit many of them using these passes. This discount coupon offers a day pass for all the Osaka subway stations along with discounts on over 31 attractions. You can buy the tickets online here and see how you can save money with the Yokoso Osaka ticket here. This pass includes FREE admission to over 30 different attractions around Osaka. This pass is valid for one or two days and includes free travel on the Osaka metro. That will save you quite a bit of time in having to buy tickets for the metro. Note that you cannot take the JR line with this pass. Click here to learn more about the Osaka Amazing Pass. 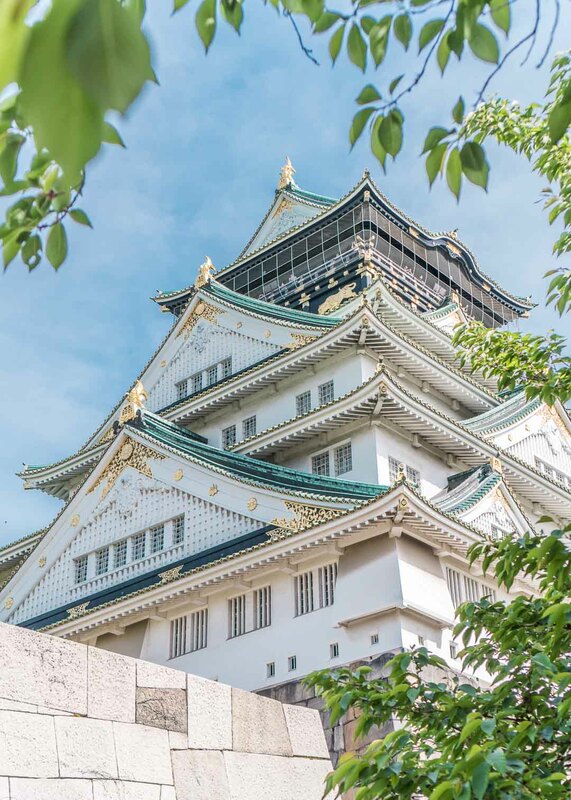 Osaka Castle is one of the most beautiful and most magnificent castles in Japan. This castle was constructed in 1597 and rebuilt after suffering damages from centuries of battles. What you see today is based on the reconstruction of the castle in 1931. The castle is within the Osaka Castle Park which can easily fill up a few hours of your time alone. The best time to visit Osaka Castle is during the cherry blossom season during the spring. That’s where you’ll see 600+ cherry trees and plum trees in full bloom. Travel tip: There is a convention center near the entrance that sometimes has shows. The lineups to their shows span what looks like kilometres (or miles for you Americans). If you see a massive lineup that looks like it is entry for the Osaka Castle, make sure to ask before lining up! Otherwise, you might be waiting in the wrong line for entry to the convention center! Another great way to explore Osaka Castle is to do the Sakuya Lumina Night Walk. The Osaka Castle Park transforms into an interactive storytelling night walk that immerses you in light and digital art! You can book your tickets for this interactive tour here. 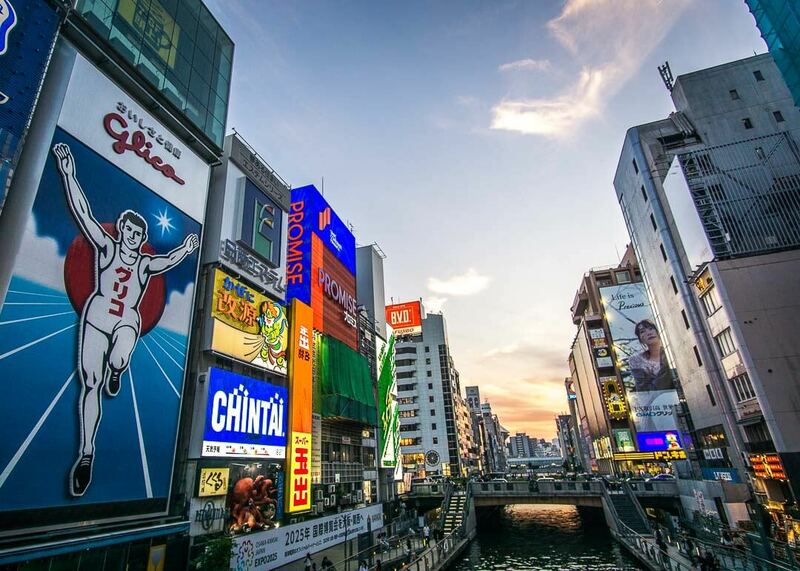 Dotonbori is an absolute must do and is one of Osaka’s most touristy areas to visit. 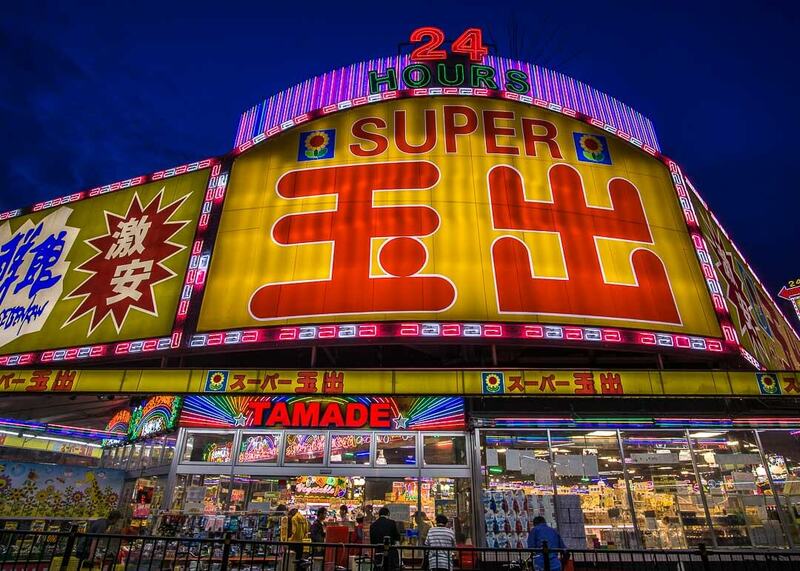 With its crazy neon lights and colourful displays, it’s no wonder that millions of visitors visit this area. 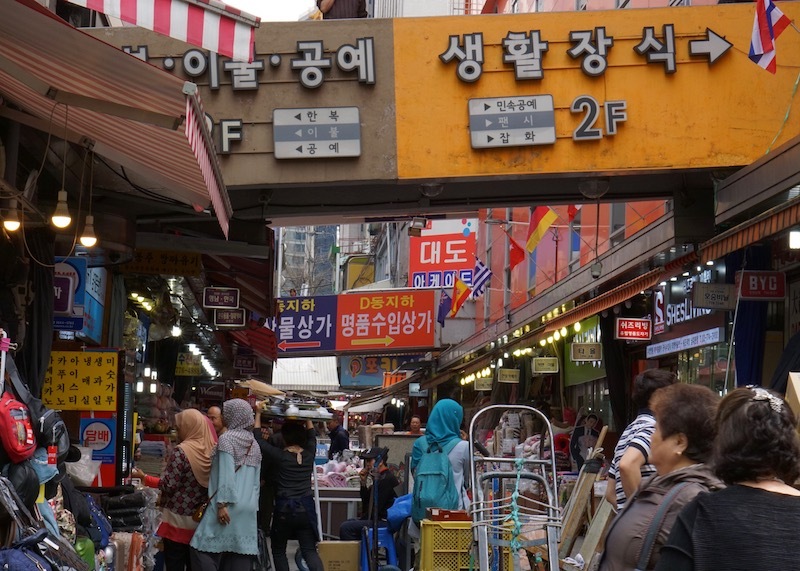 There are tons of restaurants and different street food to try in this area along with lots of shopping and entertainment (see below about arcades!). 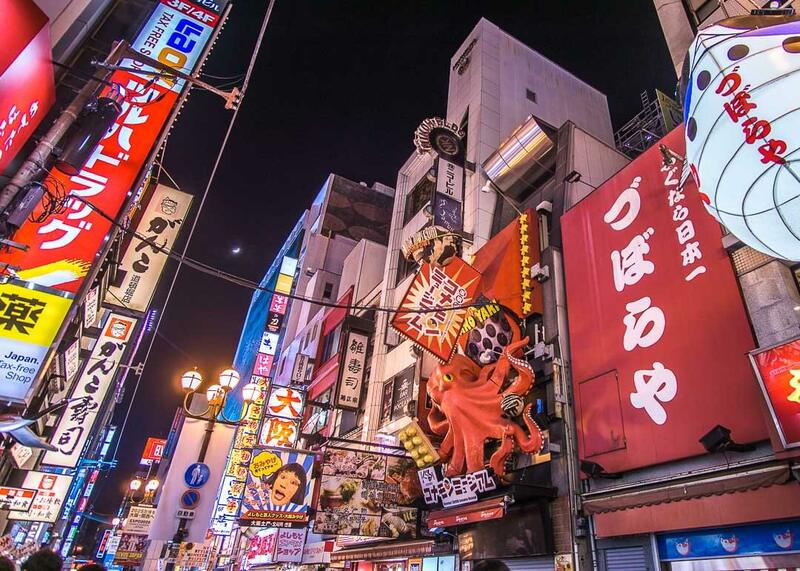 You could easily spend an evening in Dotonbori alone since there is so much to do in the neighbourhood. 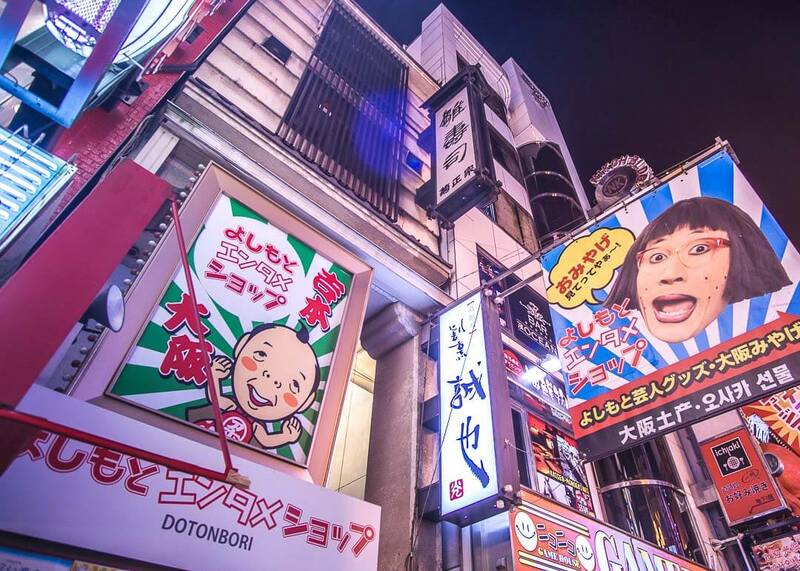 The best time to visit Dotonbori is at night when all the beautiful billboards are lit up. 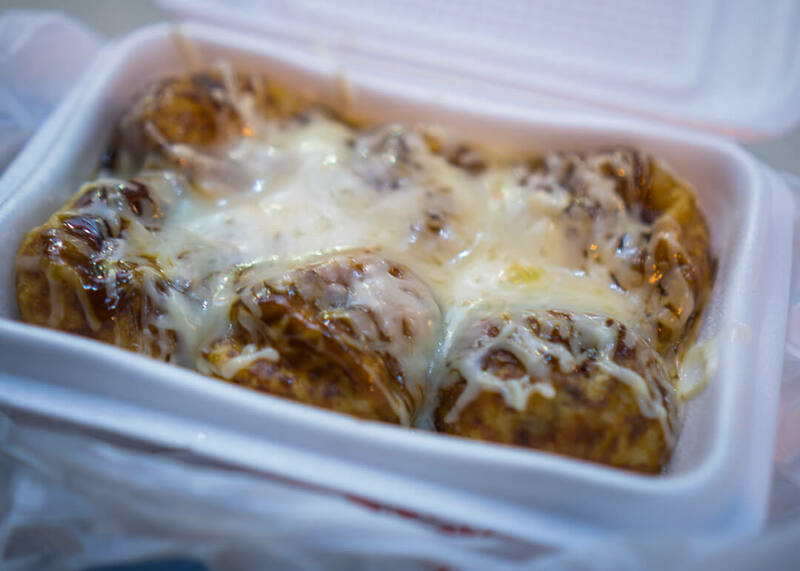 Make sure to try Takoyaki (octopus balls), Okonomiyaki (Japanese pancakes). 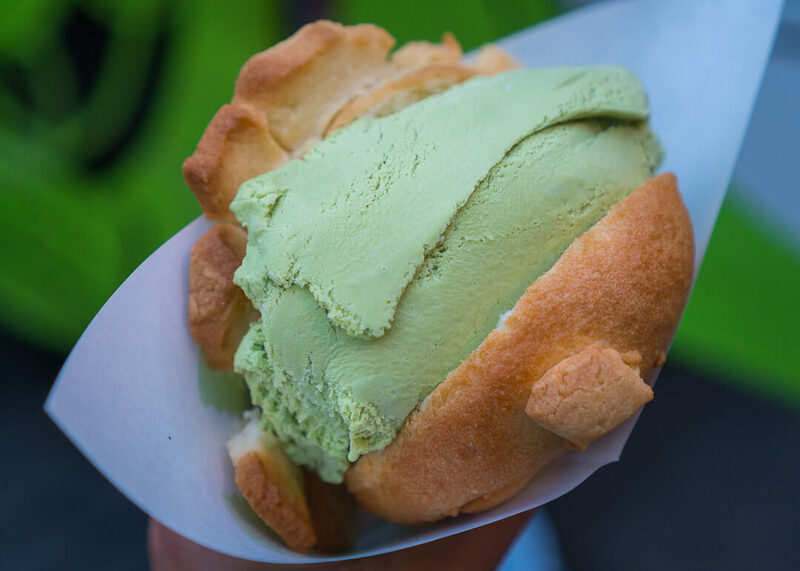 You can try doing this walking tour that offers food sampling. The entrance to Shinsaibashi. Note the woman on the bottom left corner who is recreating the Glico Man running pose. Told you it’s a must do! 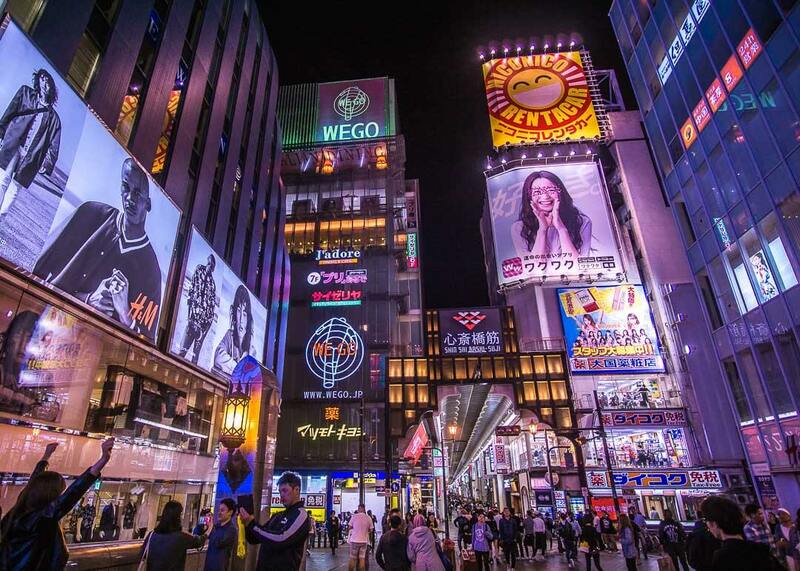 Located north of Dotonbori, Shinsaibashi is Osaka’s main shopping area. 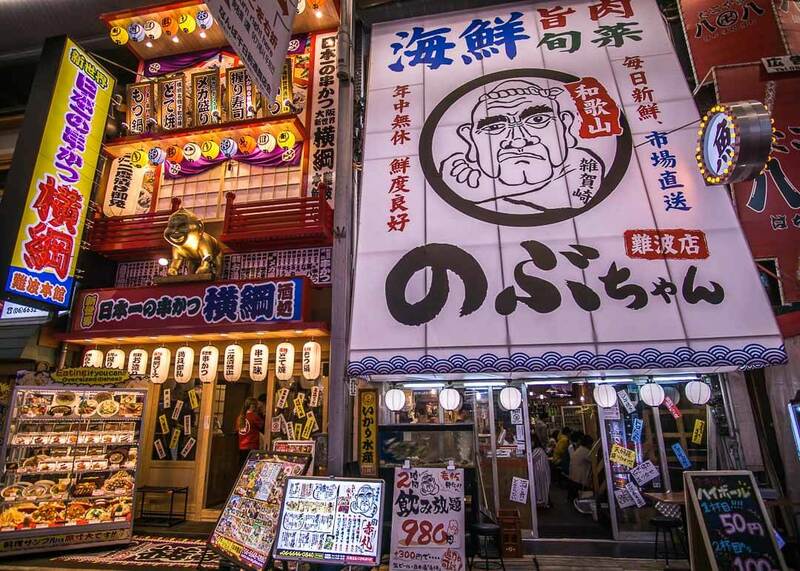 This district has something for everyone, ranging from 100-yen shops to luxury brands. The streets are covered, meaning you don’t have to worry about bad weather (it rained A LOT when we visited Osaka). Can you believe this futuristic building was built in the 1980s? If you love architecture, you must pay a visit to this futuristic building that was built in the 1980s. As the nineteenth tallest building in Osaka, you can bet that you’ll catch a fantastic panoramic view of the city. If you are feeling hungry, there is also a food market underneath the sky building. 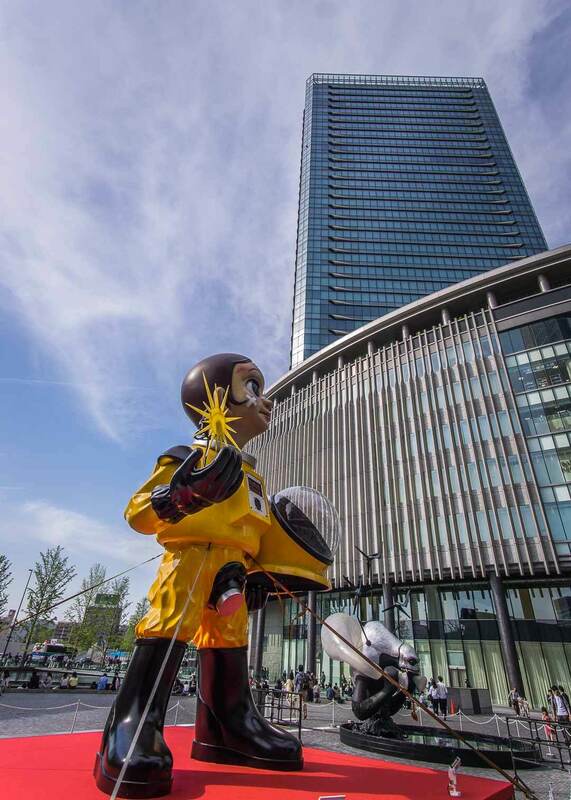 You can use the Osaka Amazing Pass to gain free entry to this building. This mall is HUGE and has a very lively vibe. 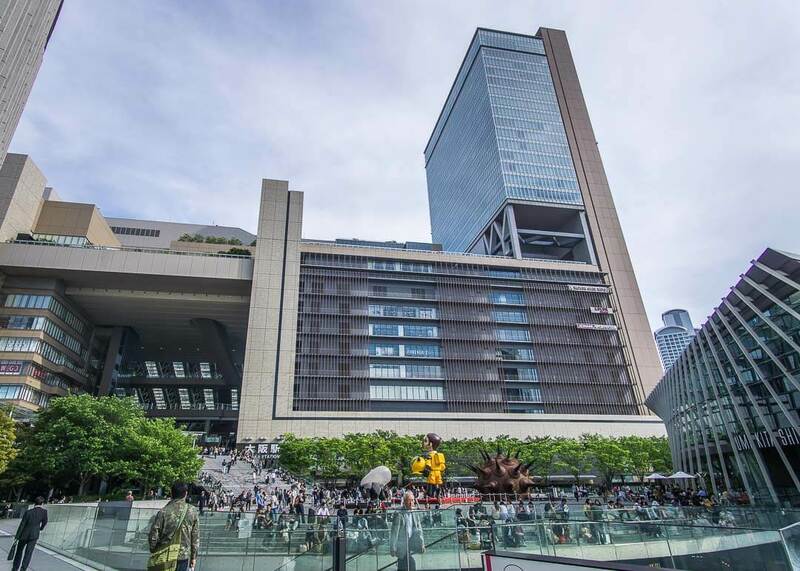 There are shops that span over six levels of the building and of course, lots of good food places to try. 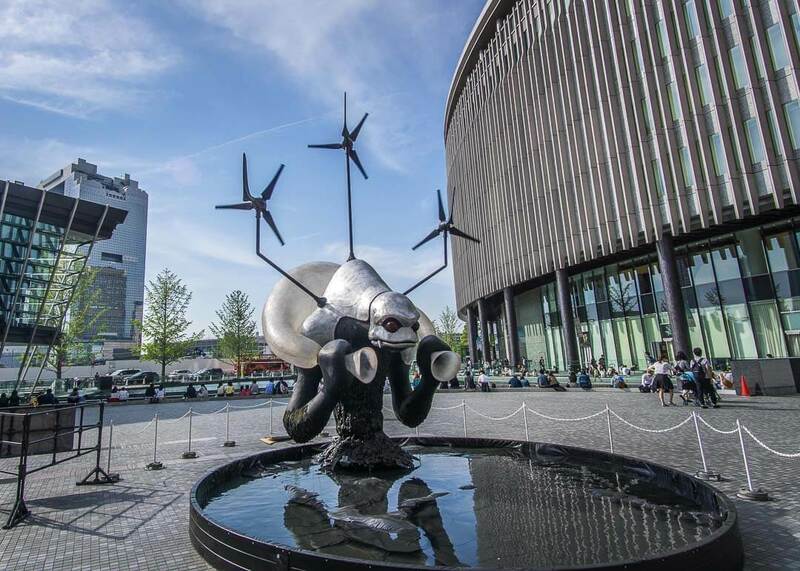 The design is very futuristic, and the main outside terraces usually have some cute Japanese science fiction anime on display. It’s definitely worth a visit if you are in the area. 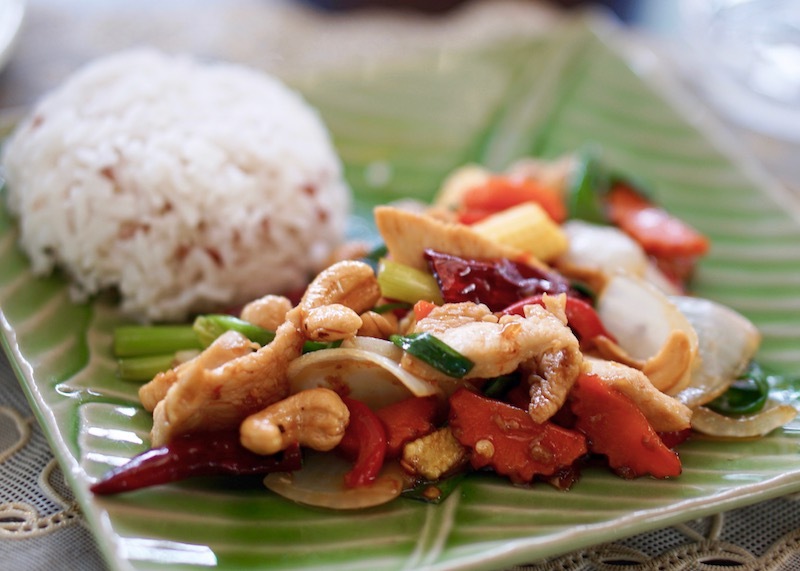 This 600-meter market has tons of restaurants and local shops filled with fresh seafood. Kuromon Ichiba Market is named “Osaka’s kitchen” and is frequented by locals and tourists alike. In fact, over 23,000 people pass through this market on any given day! It’s a great place to sample delicious food and have “street food.” Of course, some restaurants and shops will prepare your meal on the spot. Tsutenkaku, the center of Shinsekai. You can go up the tower to get beautiful views of Osaka! 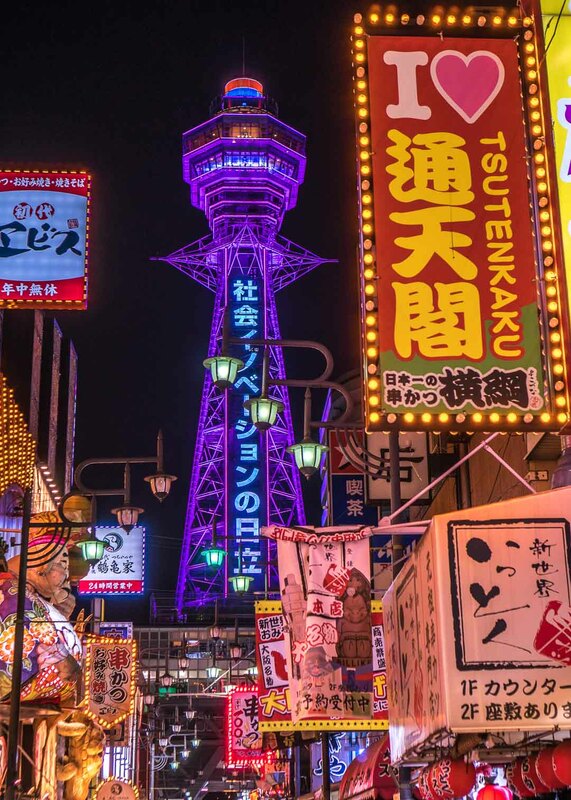 Shinsekai is the city’s old downtown district filled with neon lights and colourful signs. This area has a reputation for being Osaka’s more dangerous and poorer districts among the locals. It is Japan after all, and you’ll feel safe in the area. You will see many homeless people roaming the area though, particularly the elderly. What’s interesting is that half of this area is modelled after New York and the other half is modelled after Paris in the early 1900s. The main feature of this area is Tsutenkaku, which was meant to resemble the Eiffel Tower! However, the area quickly descended from its reputation of being the “New World” after decades of neglect after the war. Would you believe me if I said that this building is of a supermarket? I went in to check out the grocery store, and you can bet that there were flashing neon lights in every aisle! or use your Osaka Amazing Pass for free entry. 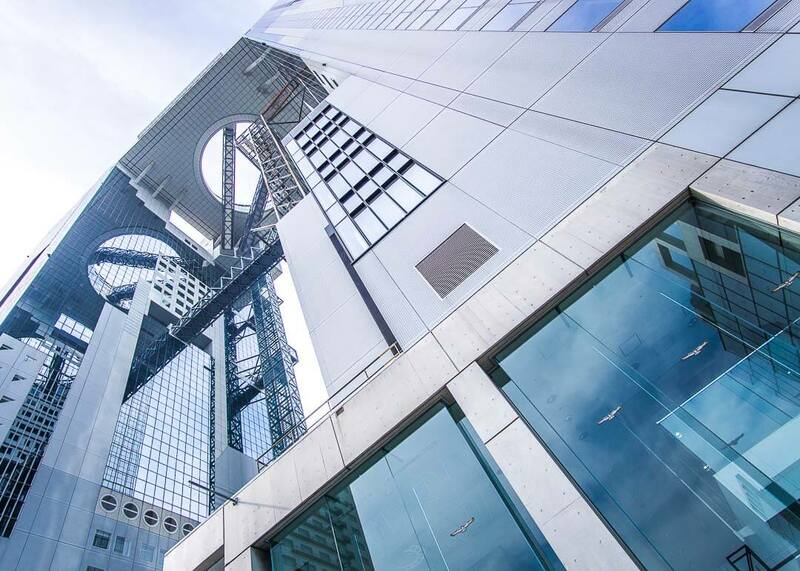 If Umeda sky building didn’t impress you enough, consider visiting this 300-meter-tall skyscraper. The observation deck is on the top three floors of this building and has floor-to-ceiling glass panels for a 360-degree view of Osaka. You can skip the line and buy your ticket to the observatory here. Abeno Harukas Kintetsu Department Store, Japan’s largest department store also resides here. With over 100,000 square meters of retail space, you’ll definitely shop until you drop in this store. If you are looking to explore museums, the Abeno Harukas Art Museum is on the 16th floor of this building. Of all the cities I’ve visited in Japan, Osaka was the place that had a lot of street food and snacks to try. 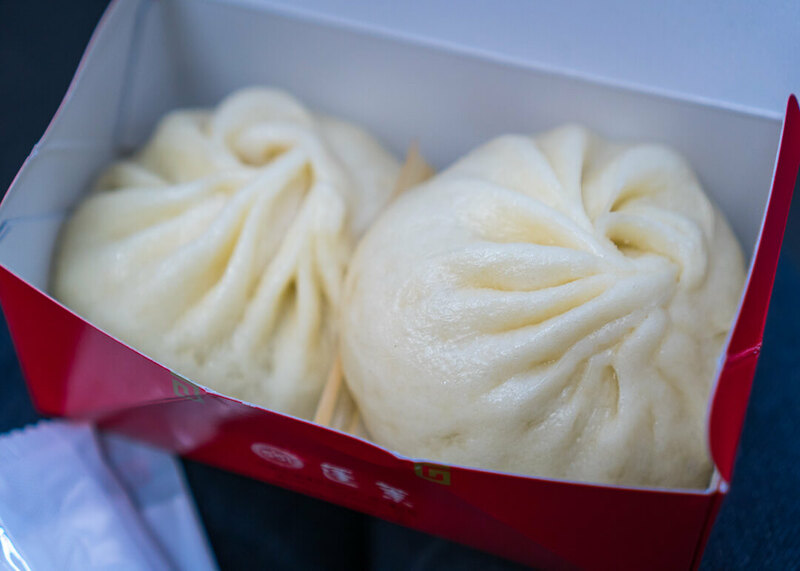 These 551 Horai buns are so delicious! If you love Universal Studios, then a trip to Osaka is not the same without visiting one of the most visited amusement parks in Japan. Universal Studios Japan has nine different zones and also includes unique attractions at certain times of the year. As well, you’ll find limited products of popular characters like Minions and Hello Kitty! Make sure to plan ahead to avoid disappointment! 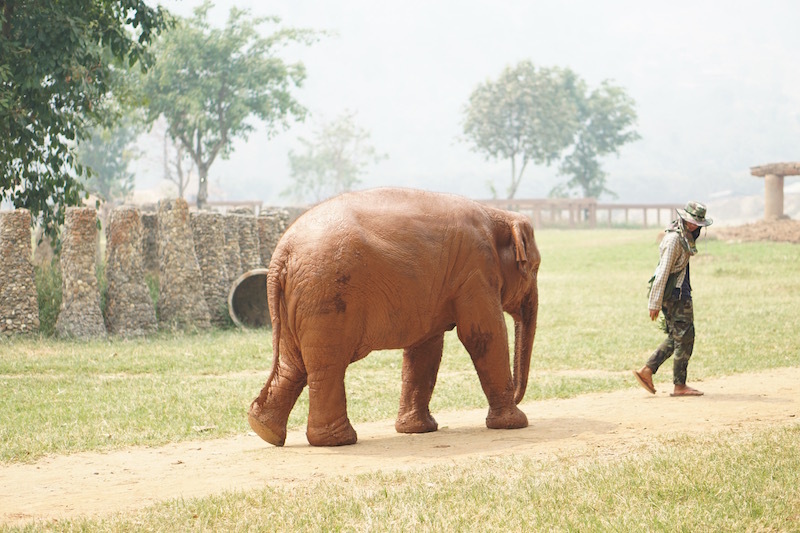 Avoid visiting on public holidays and go early! You can book your entry ticket and transportation here. I read that some of the main rides have over three-hour waits so consider buying the express pass. There are many different ones to choose from which you can buy online here. If you want to know the history of instant noodles, then this museum is the birthplace of instant noodles! It honours the inventor, Ando Momofuku, who dedicated his entire life to creating this popular food. The cost to visit this museum is FREE, but if you want to make your personalized cup of ramen, the price is 300 yen. 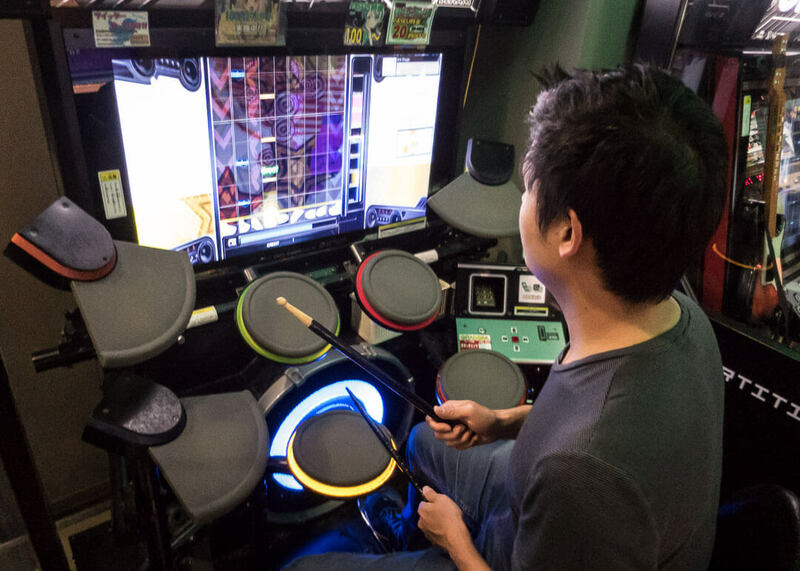 I am not an arcade person, and so I was quite surprised at how addicted I was to the Japanese arcades! The experience and the emotions are nothing that I’ve ever felt in North America! 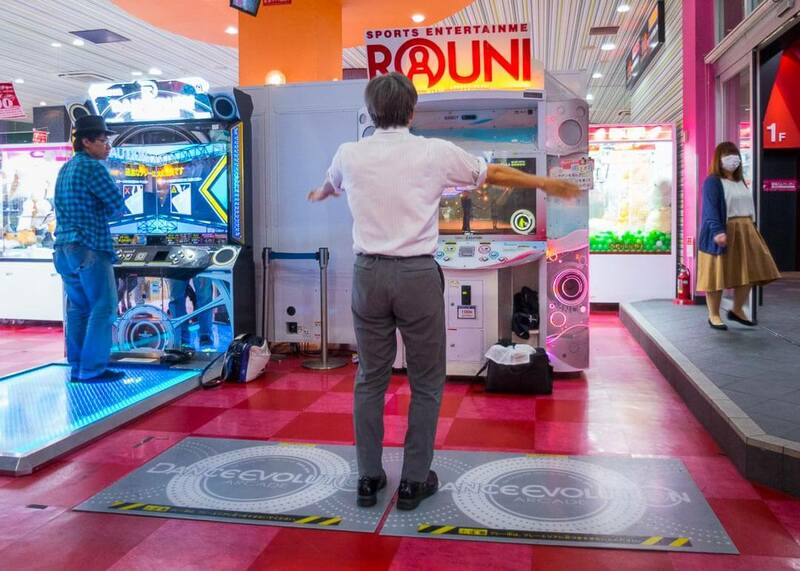 For one, the arcades are very lively. 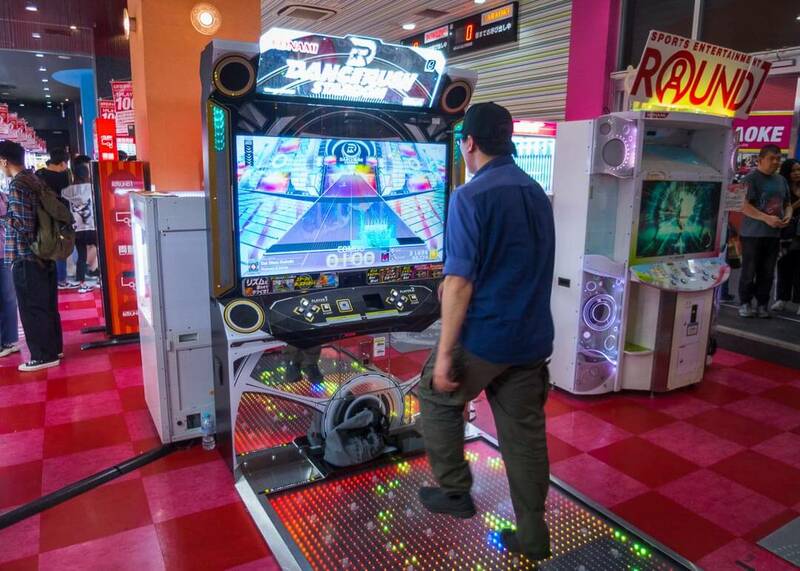 There are tons of fun games to try, such as UFO catchers (claw machines), dance games, drum games, and Mario Kart games. Even if you don’t play arcades, it’s a lot of fun to watch people play games, and the prizes are so incredible! I honestly sat around and watched people place Dance Dance Revolution and other dance games. 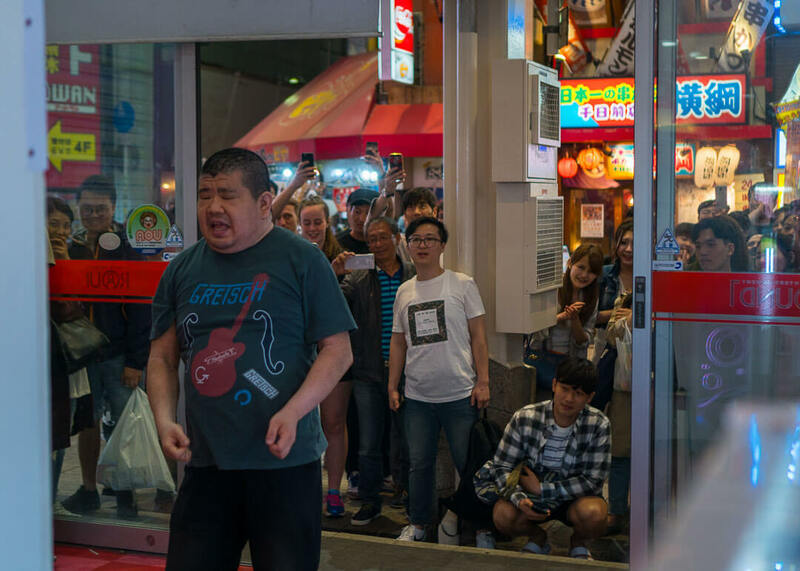 This guy drew up a huge crowd because of his impressive dancing skills! 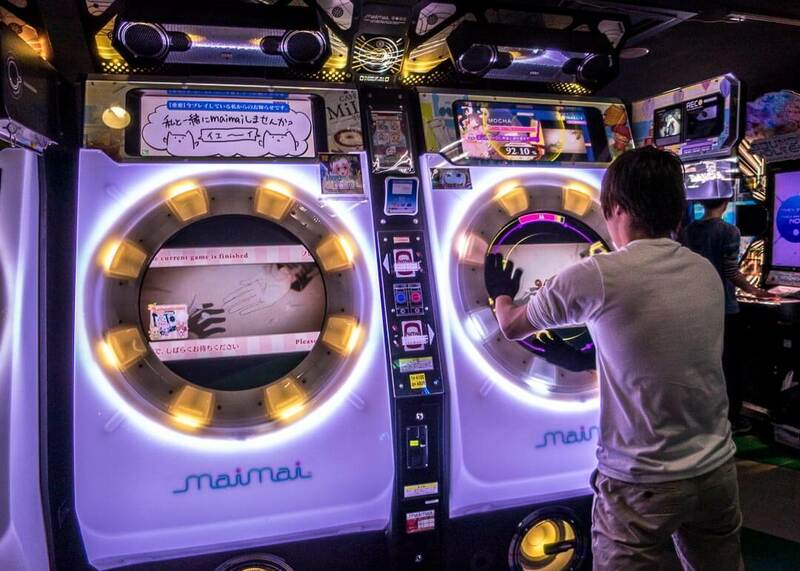 Tip for UFO machines: You can ask the staff members to reset your prize. If you’ve been playing for a long time, staff members will take pity on you and give you tips on how to win your prize. I became super addicted to claw machines and managed to win a few prizes! See the fox in this photo? I won one for the first time in my life after two tries at this claw machine! Check out my Google maps for some great arcades to visit. 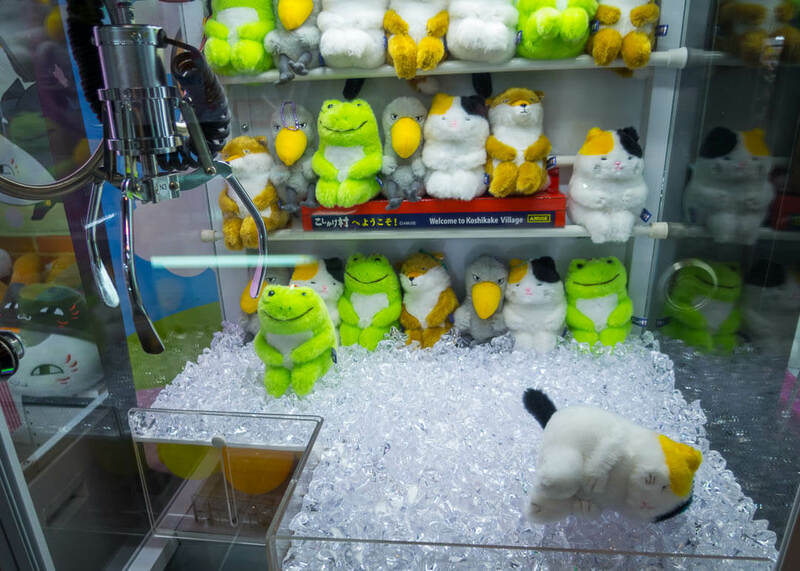 Leave a comment below if you want to learn how you can win at claw machines. I have a super detailed post that I can post for you. 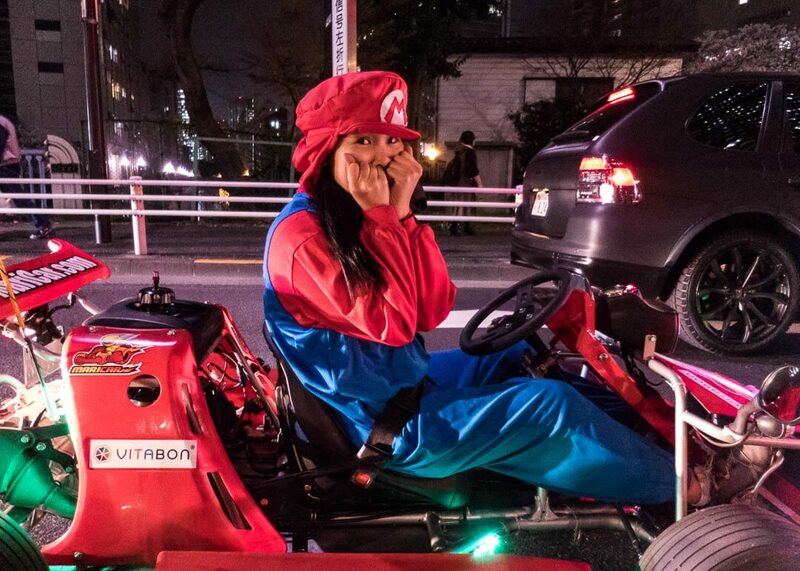 Driving a go-kart on the streets of Japan is fun and terrifying at the same time! 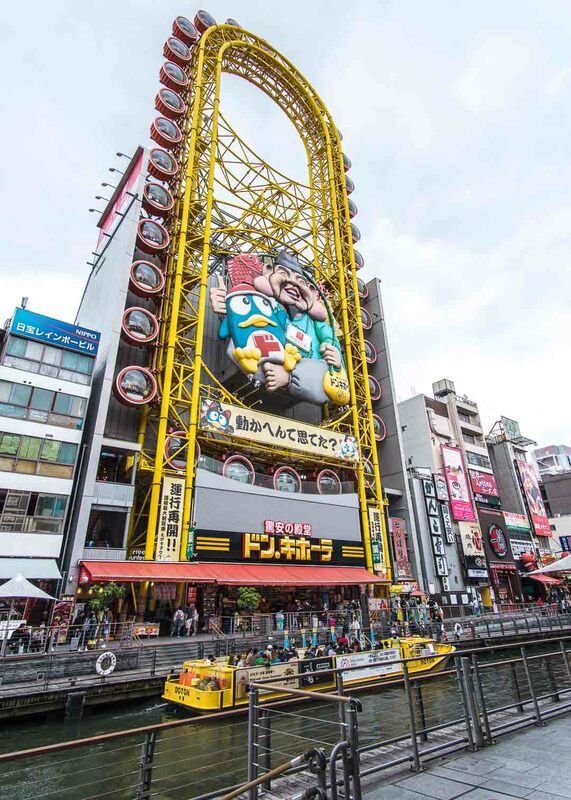 What better way to explore Osaka than by driving through the streets of Japan on a go-kart? Wearing an anime costume?!? Honestly, I did this activity while in Tokyo, and it was one of the highlights of my trip! To take part in this activity, you must bring your passport and have an international driver’s license! Make sure to book your reservation in advance to secure your spot. You can book your tickets online here. If you love immersing yourself in culture, consider visiting one of the many beautiful shrines in Osaka. This shrine was founded in the third century and is one of Japan’s oldest shrines before the introduction of Buddhism. Entry to this shrine is free. This temple has a fascinating history as it was founded in 593 by Prince Shotoku, who supported the introduction of Buddhism to the country. This temple has been viewed as one of the first Buddhist temples in Japan. 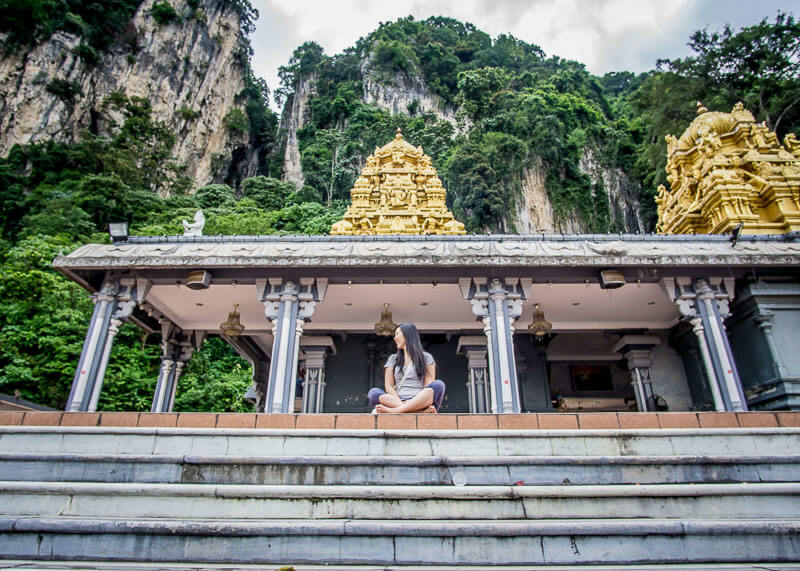 There is a small admission fee in some parts of the temple. This temple is near the Tsutenkaku tower and has many locals and tourists frequenting this gem. Worth checking out if you’re in the area. What’s interesting is that the statues are made from crushed bones of over 100,000 people. 100 yen shops in Japan are like our dollar store shops in North America, except wayyyy better of course! Everything in there is sooooo kawaii (cute!) and cost $0.90 USD ($1.20 CAD). 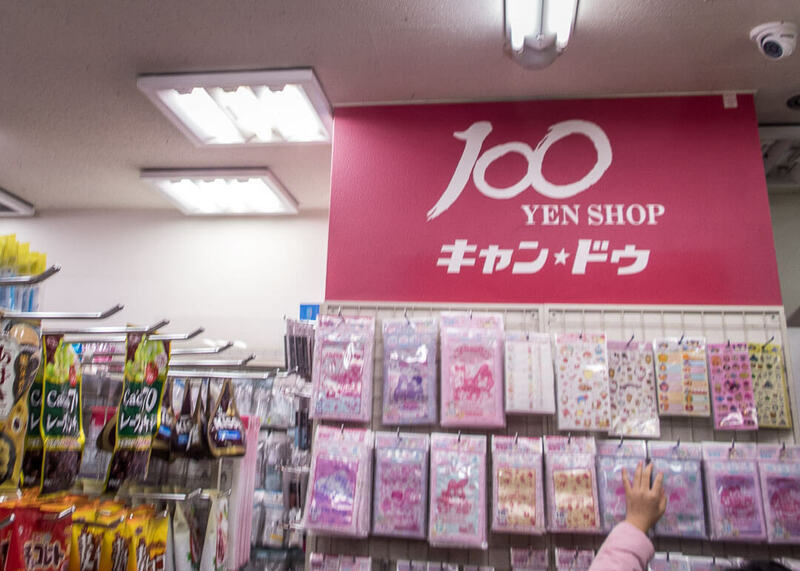 I’m not sure if travelling for a year on a tight budget had anything to do with my obsession with 100 yen shops, but I was super obsessed with 100 yen shops. I went inside different shops of the same brand around Japan. I did notice that every store has a slight variation in selection, so it’s worth checking out whenever you pass by one. Look at all the cute things you can buy at this store! 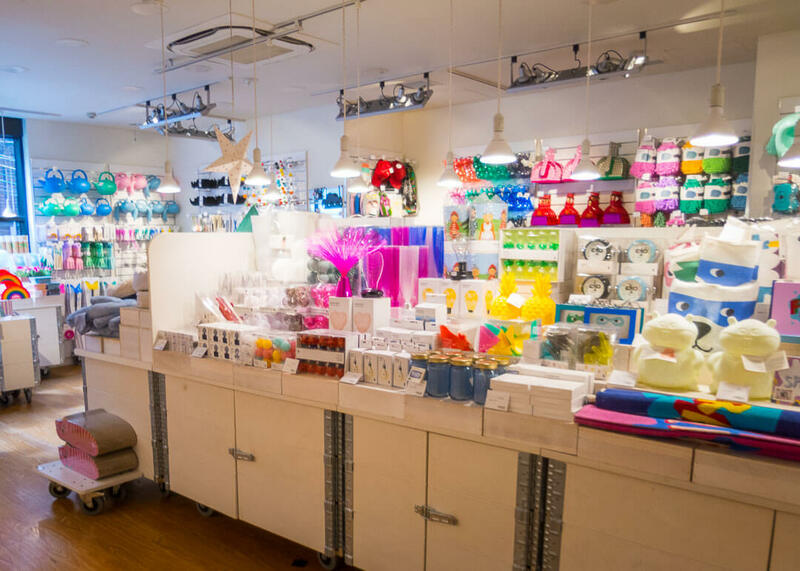 This store has a lot of cute items, ranging from stationery to kitchenware at affordable prices. You can definitely find cute and practical gifts in the store. Note that this store is an international brand and is not unique to Japan. This shop sells a lot of cute homeware at affordable prices. While not quite a 100 yen shop, most of the items in here are affordable. That penguin is the mascot for Don Quijote! 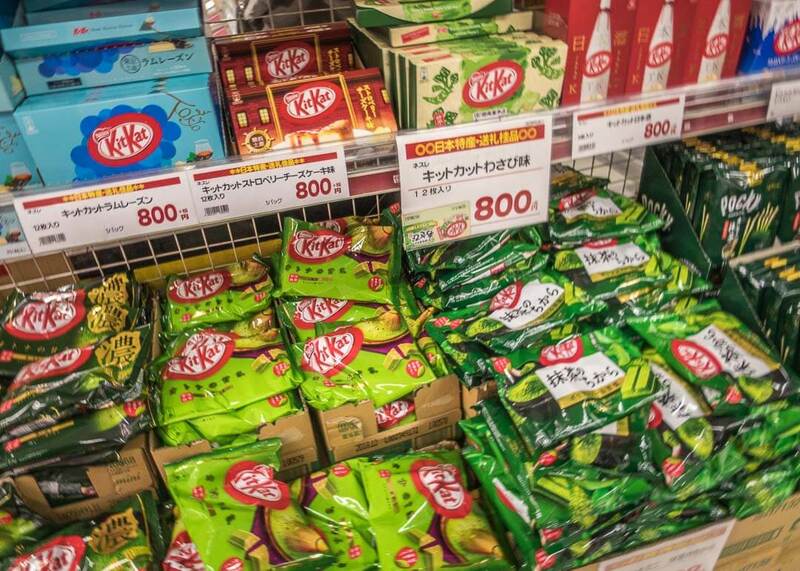 If you are looking for Japanese Kit Kat, Don Quijote is the place to go! Each store has a diverse selection of flavours at what I found to be the lowest prices. Travel tip: don’t buy Kit Kat bars at the airport! It’s very pricy there! 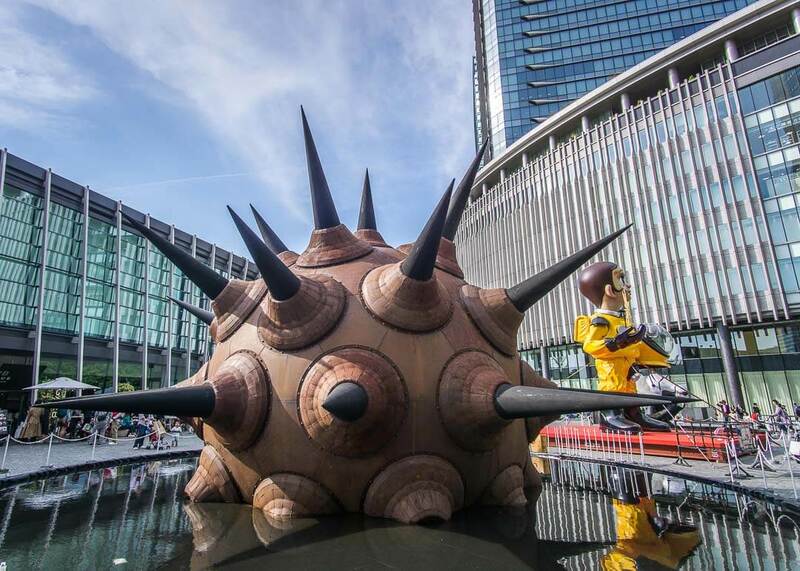 Ok, so if you love Pokemon like me, then, of course, you have to visit this Pokemon Center in Osaka! 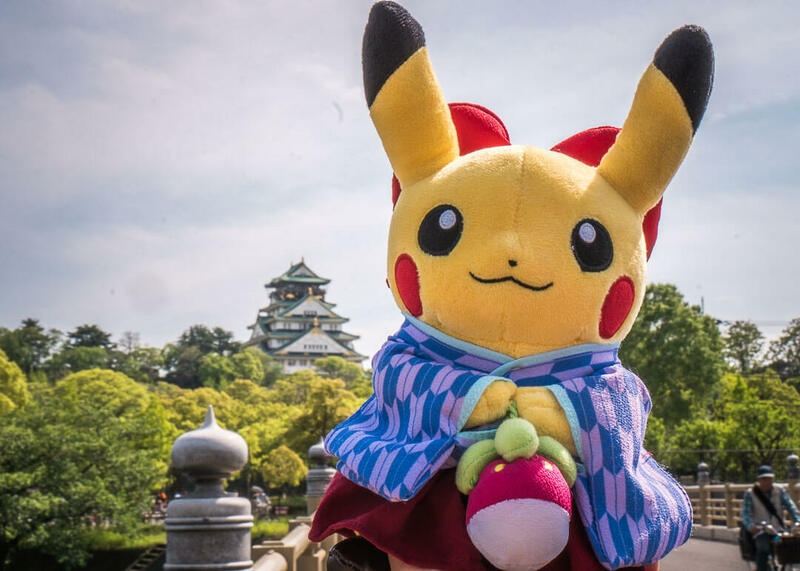 One visit to these Pokemon shops will make you feel like a kid again. It is more like a store than a Pokemon Center, and it is in the middle of a large mall. Getting here is a bit out of the way, but if you’re looking to visit a shopping mall in Osaka, this one is worth checking out. This stunning European building is worth pausing for a photo if you happen to pass by the area. 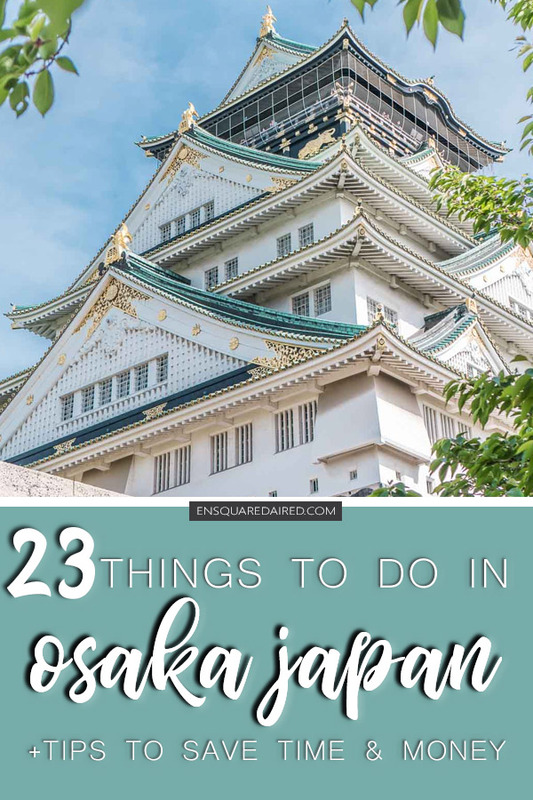 There you have it, the most comprehensive list of things to do in Osaka during your trip to this remarkable city. Comment below if there’s an activity that you think I should include in this list.